I Love Etsy. I love being crafty – and love looking at other peoples craft ideas. So because there are Wow fans on Etsy I thought I would show you what I found. 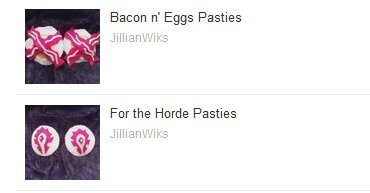 For your perusal today we have For the Horde Pasties and yes I added the Bacon n Eggs one in there too for extra amusement. 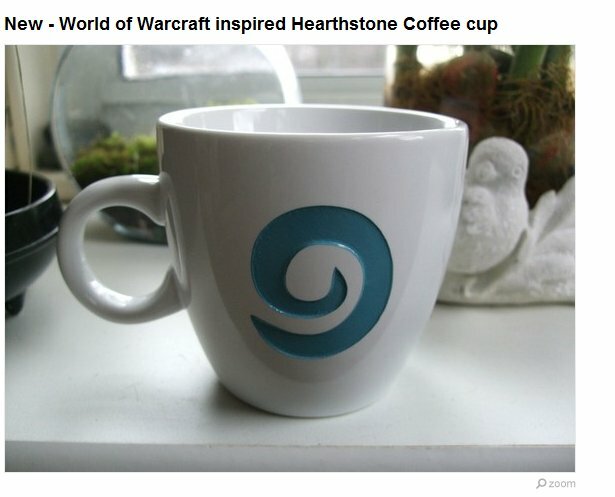 I love this Hearthstone mug found here. ** Moral disclaimer : Even though they are profiting ( potentially) from other peoples trademarks I still find at least the above ingenuity really stood out, and its unlikely that Blizz will ever produce their own version of these products. I’ve heard speculations for the design of a pipe that leads straight to the loo..
Well I am a guy…. so the answer is…. yes?